Activate by Tributing 1 face-up "Chrysalis" monster. This turn, any damage to a player caused by an effect becomes 0. 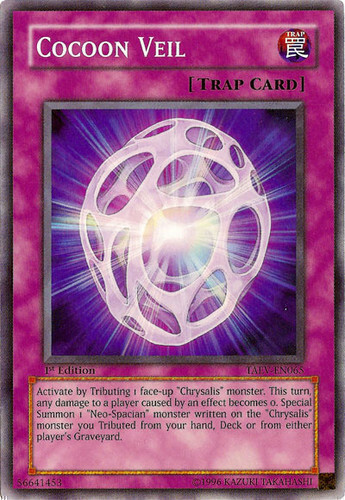 Special Summon 1 "Neo-Spacian" monster written on the "Chrysalis" monster you Tributed, from your hand, Deck or from either player's Graveyard.